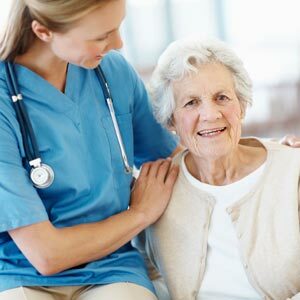 Registered and licensed practical nurses promote and restore residents’ health by completing the nursing process with assistance from nursing assistants who help residents of all ages perform the most basic daily tasks. The nurse aides have extensive daily contact with each resident – They play a key role in the lives of their residents and in keeping the nurse up to date on vital information about the residents’ conditions. All JAG Healthcare facilities employ in-house therapists, directors, and aides who provide physical, occupational, and speech therapy to residents. Responsibilities include assessment, management, individual and group treatment, and verbal and written communication of residents’ progress and needs. We provide therapy services to residents with medically complex, orthopedic, neurological, pulmonary, cardiac and TBI conditions, etc. The activity director and activity aides are in charge of the planning and implementation of activities provide to our residents. They are responsible for arranging interesting and diverse programs, outings, and experiences that may take place on the premises or require travel to a local venue. 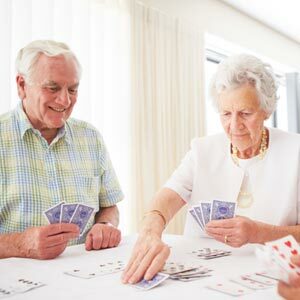 The bonds formed with residents through daily activities play an integral part in their quality of life. 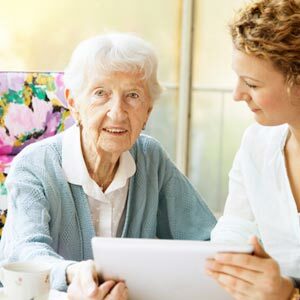 Social services associates work with residents in the nursing home by identifying their psychosocial, mental and emotional needs along with providing, developing, and/or aiding in the access of services to meet those needs. They are responsible for fostering a climate, along with policies and routines, which enables residents to maximize their individuality, independence and dignity. 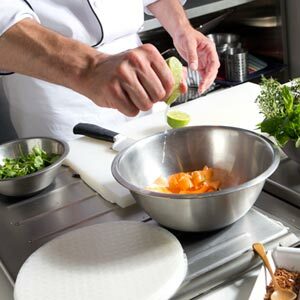 The culinary department, lead by the culinary director and licensed dietitian, is responsible for staffing, food ordering and preparation, food delivery and clean up in accordance with facility policies, physician orders, resident care plans, regulations, and residents’ preferences. We know there’s nothing like a home cooked meal to help residents feel more at home! We pride ourselves in providing nutritious, tasty meals for our residents, staff, and visitors. The environmental services team is responsible for cleaning resident rooms and common areas and for providing laundry services. The E.S. team is always in contact with residents and families, and to guarantee their satisfaction, this position requires tact, sensitivity, and professionalism. The maintenance department directly supports environmental services, working to provide a safe, clean, and functional facility for all. The administration team consists of the business office, human resources, medical records, receptionist/secretary, and the administrator. The business office manager/designee is responsible for the overall management of financial and billing data collection and reporting for all residents, resident representatives, and third party payers. The HR department is tasked with directing the human resource activities within each facility, including staff recruitment, training and updating staff on company personnel policies, procedures, and regulations and monitoring and evaluating human resources systems. Medical records personnel are responsible for organizing and filing resident information while the receptionist/secretary works as a liaison between all departments. 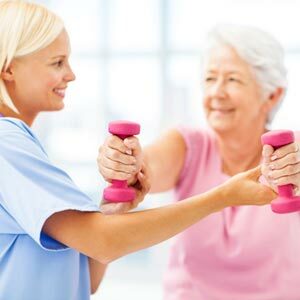 The Licensed Nursing Home Administrator works in direct support of all residents and staff members, serving as the champion and team leader of the facility. Would you like to join the JAG team? Click on the Application link, fill out the application and save it to your computer. Then, submit the saved application below! We look forward to hearing from you soon!